Small and papery, statice plants make for excellent cut flowers in a vase or as dried arrangements. Once dried, the flowers will keep for months. 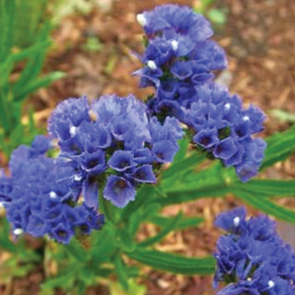 These easy to grow small flowers grow in clusters and attract butterflies to the garden.